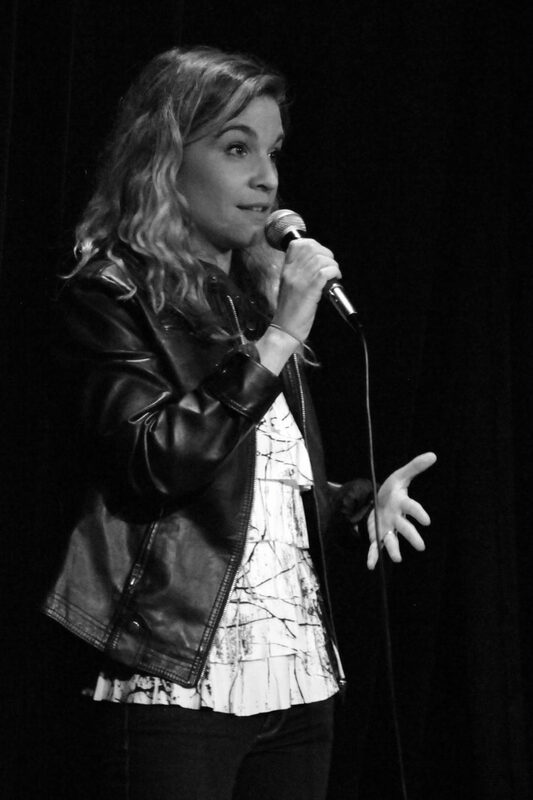 Julia Pels is an LA based lesbian stand up comedian, storyteller, and LGBTQA activist. She performs in the independent comedy scene frequently and has also done (larger) shows at The Comedy Store, The Ice House, and The Hollywood Improv. A: I have always been on stage dancing/singing/ acting. So I am very comfortable up there. I discovered that I wanted to do stand up last year. I realized that doing stand up allowed me to be my most authentic self versus playing a character in a play. Q: What’s the worst joke you’ve ever heard? A: The worst joke I’ve ever heard was that you’re not a “real” lesbian unless you wear flannel. It wasn’t very creative. Q: What’s a typical set of yours like (at a comedy show)? A: I don’t have only one way of doing a set or “typical” set, each time is different. Sometimes I will do bits that I have been doing for a while, other times I will take a subject and improv the material on stage. It all depends on my mood and vibe of the show. Q: Do you always reveal the fact that you’re a lesbian whenever you do a show? A: I don’t always “reveal” that I’m a lesbian in my sets, although I think it’s come up in some way in every show. I talk about my relationships and things that are so personal, the audience ends up knowing without me directly telling them. Q: Describe the first time you “came out” to an audience, everything that led up to it, and how you felt afterwards. A: I honestly don’t remember it. I had weaved it into my set just like anything else and it felt normal. I didn’t feel like I had to “present” it as something. It was just part of me, like anything else that makes me who I am. I felt safe and comfortable performing about it all around! Q: What are the best and worst parts of being a comedian? A: Best part of being a comedian is that I get to be authentic about my human experience and also connect to the human condition in that way… that we are more connected than we think. The worst part for me is the loneliness I sometimes feel. You do a lot of things alone, which isn’t bad. I love my alone time, but sometimes it’s tough. The nights alone writing, performing, driving to shows, analyzing, always kind of in your own head. But that’s what the stage is for. I get up and allow all of it to pour out of me. I feel love and the joy of the truth of it all. Julia produces and hosts her own show, “Killer Unicorns,” which is a hybrid stand up/storytelling show. It runs every fourth Sunday of the month at The Lyric Hyperion Theatre and Cafe at 7pm. Find her on Instagram and twitter @queercomedian and find @killerunicorns on those platforms as well.